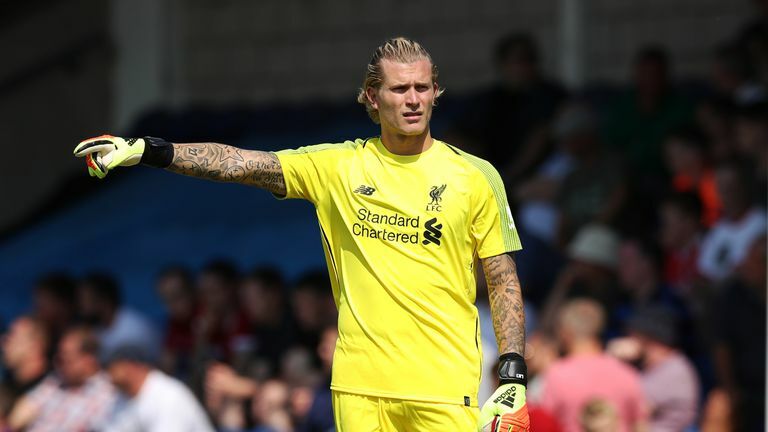 Following reports Loris Karius' loan spell at Besiktas could be cut short, we take a look at how the on-loan Liverpool goalkeeper has been faring since moving to the Turkish capital last summer. Karius joined Besiktas on a two-year loan deal in August after committing two high-profile errors in Liverpool's Champions League final defeat by Real Madrid at the end of last season. It was initially thought Jurgen Klopp would keep faith with the German, only for further mistakes in pre-season to persuade the Liverpool boss to buy Alisson from Roma for a then world-record fee of £67m. "We said goodbye," said Klopp back in August. "He is really looking forward to it, so that's good. It's good for him, I really think. Loris is a fantastic goalkeeper at a very good goalkeeper age." However, despite having started every match since joining Besiktas, recent stories in the Turkish media claimed the club were hoping to send Karius back to Liverpool in January. Having sold Fabri to Fulham in July, Besiktas began their search for a replacement 'keeper, initially trying to sign fellow Liverpool reserve Simon Mignolet on loan. However, with Klopp only considering permanent offers for the Belgian, Besiktas turned their attentions instead to Karius, who they agreed to take on a two-year loan for a fee of £2.25m. Now, under the terms of that deal, the Super Lig club are obligated to buy the player for a further £7.25m in 2020 if certain performance criteria are met. These relate to both appearances - that figure is thought to be more than 50 per cent of their matches - and Besiktas qualifying for Europe next season. Meanwhile, Liverpool will also have a 20 per cent sell-on clause if the move becomes permanent in two years' time, but it is important to note that even if Besiktas wanted to offload Karius, there is no option in the original contract for the loan to be terminated early. "At first Besiktas fans loved Karius," says Yilmaz. "He was coming from a top-level club and despite his errors in the Champions League final, the fact Klopp trusted him all the way to the final meant he had potential." Things actually started off quite well for Karius, who made an excellent early save on his debut against Bursaspor on September 2. However, with his side leading 1-0, the 25-year-old then picked up a needless booking for time wasting, before hesitating coming for a cross and allowing Diafra Sakho to nip in front of a defender to equalise late on for the visitors. "He did not have a busy night, but looked good until the end," says Yilmaz. "He had a couple of good saves and looked well connected with the defenders, even leaving his goal to make a good intervention in one Bursaspor chance. "But he could have saved the Sakho shot if he had stayed in his line, or had rushed out earlier to catch the cross. He could not decide what to do in time and got caught in the middle, resulting in the goal." Question marks were also raised when Karius conceded a bizarre goal in Besiktas' 2-0 defeat at Malmo in the Europa League on October 4. The 'keeper somehow managed to let a deflected cross creep under his own bar, despite his attempts to palm the ball behind for a corner. "That was a really unfortunate, freak goal," is Yilmaz's opinion of Malmo's opener at the Swedbank Stadion. "The ball hits left-back Caner Erkin and it was too high. Many goalkeepers would have parried it over the bar, and he could have, but I will not be too hard on him for that." Karius, who has 2.4m followers on Instagram and over 600,000 on Twitter, has also come in for criticism for his use of social media. After his mistake against Malmo, the shot-stopper posted a black and white photograph of himself with the message: "To succeed in life, you need two things: Ignorance and confidence." However, former Hamburg, Frankfurt and West Germany No 1 Uli Stein - who has worked as a goalkeeping coach for Nigeria and Azerbaijan - told his compatriot to concentrate more on his goalkeeping and less on his image. "Karius seems to think that it is more important to take photos and share on social media accounts than on the field," he told the German press. "He needs two perfect seasons to prove himself again." Yilmaz, though, believes Besiktas are happy with Karius' presence on social media, saying: "He has lots of followers on social media and I think the club would like to capitalise on his charisma. If Besiktas were having a better season, like last year, I believe Karius would be all over the media." Reports on Tuesday suggested Karius could return to Liverpool in the January transfer window as Besiktas looked to cut short his loan. However, the former Germany U21 international dismissed the speculation when posting a picture on Instagram of himself drinking coffee, with the accompanying words: "Coffee first, media's bull**** second". When asked about the speculation, Karius' agent Florian Goll said: "Complete nonsense. I wonder where things come from. This news is completely untrue. "Loris is on loan to Besiktas for two years - that's the situation. The club has no intention of ending this loan contract prematurely." But, while the Super Lig club have not been overly enamoured with Karius' displays since arriving in Istanbul, Yilmaz thinks they will stick with him until the end of the campaign before making any decisions about his future in the Turkish capital. "I can understand that Besiktas are not too happy with Karius' performances so far," he says. "He has had only two clean sheets in 10 games (in all competitions) and even though he did not make any glaring mistakes, he was not a saviour either. "As a club with financial problems, I can see they want out of his contract, but they will definitely need to sign another goalkeeper then and January is not usually a great time for signing players on a budget. "So, I understand their thinking, but I doubt anything will happen before the summer." What does the long-term future hold for Karius? "It is impossible for Karius to get game time at Liverpool, so staying here is the best bet for him," says Yilmaz. "As a last resort, I believe Besiktas will look at other options if his form stays this way, although he does have a two-year loan deal at the club. PL signings of the season so far? "But after 10 games, most fans and manager Senol Gunes remain happy with him and optimistic that he will improve." As for Liverpool, Karius actually signed a one-year extension to his Liverpool contract as part of his loan deal to Besiktas, leaving the door open for a possible return to Anfield in 2020.